Jen and I are having a CT call! 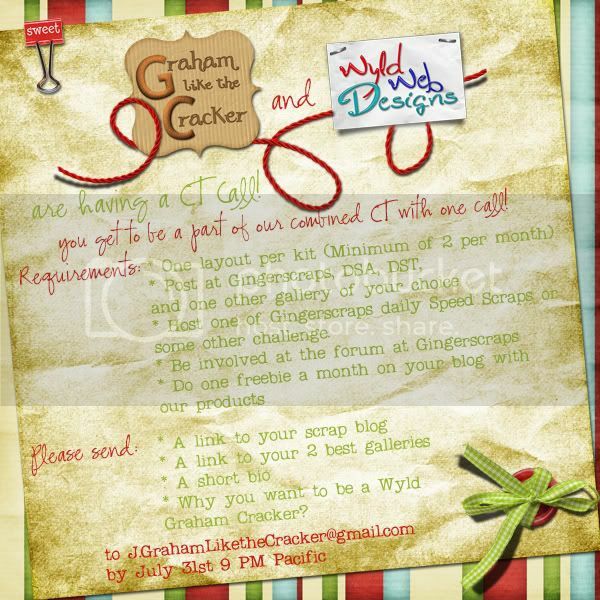 Graham Like the Cracker and Wyld Web Designs are having a CT call! You get to be a part of our combined CT with one call! * Host one of Gingerscraps daily Speed Scraps or some other challenge. * Why you want to be a Wyld Graham Cracker?